"We partner with teams in developing a sustainable performance culture"
The REACH Group was founded in 2000 and is based in Houston, Texas. We are a global service provider for the upstream oil and gas, manufacturing, and mining industries. Our engagements are highly customized to meet the needs of each project and the desires of every client. Over 100 companies in 42 countries have engaged REACH, giving their teams the resources they need to establish the highest level of success. REACH offers Performance Optimization, Right First Time, WellBore Manufacturing™, World Class Safety Culture, Leadership Development, Facilitated Workshops, Knowledge Management, and Technology Enhanced Rig Moves (TERMs) service lines. REACH specializes in coaching to implement a performance culture that delivers safe, efficient operations. REACH Coaches use our philosophy of Keep It Simple, Keep It Real, Keep It Personal to create a sustainable culture where team collaboration leads to success. The key to coaching, rather than training or consulting, is to listen more than speak. Taking the time to understand each team’s goals and strengths, helps to create the alignment in beliefs and values that ensure the change is sustainable. We ensure your performance culture is created by design, rather than by default. REACH prides itself on the quality of employees we hire and promote from within. Our Senior Management team is a group of experienced coaches who have grown through the ranks of REACH. They participate in every Implementation, not only for quality control purposes, but to bring an experienced, polished perspective to each engagement, as they are highly knowledgeable in the industries we serve. REACH hires Coaches that not only have industry experience, but more importantly exude passion. Their knowledge and love for their jobs is contagious. Along with passion for their work, our Coaches have strong analytical skills and are able to ask the exploratory questions that deliver Real Results. Our employees come from all over the world and with that comes the benefit of a diverse internal culture we can pass onto our clients. REACH has developed internal Leadership Development programs and an internal quality audit system to make certain that every Coach and employee meets the high standards we have set for ourselves. Our own corporate culture is a validation of culture by design, as we have been named for the last five years to the list of Texas Best Companies to Work For, landing as high as #4. At REACH we practice what we preach; leadership development, quality, and employee inclusiveness. Purpose Statement- We coach individuals, teams and organizations to achieve Real Results! Vision- REACH’s ambition is to be the most respected and sought-after coaching organization in the industries we serve by providing quality people, effective implementations and our innovative approach. Dave Massey founded REACH in 2000 with the idea of creating an organization which not only provides services for the betterment of client’s but also creates an environment in which all employees look forward to seeing each other for collaborative purposes. Mr. Massey continues to instill these values in the REACH Culture today. Since founding REACH, he has led the company to operate in over 42 countries, and prides himself on the diverse culture of employees that has been created through working globally. Mr. Massey is an industry leader with his knowledge of Performance, Safety and Leadership Implementations and has himself facilitated over 100 DWOP, CWOP, TWOP and Leadership Development workshops in 14 countries. He has had numerous speaking engagements which include the University of Oklahoma School of Petroleum Engineering, Association of American Drilling Engineers, American Society of Quality and most recently in Lisbon, at the GALP Open Petroleum Day. Under his leadership, REACH implemented an extensive internal Leadership Development program, an internal quality audit system, a Client Satisfaction system and became ISO 9001:2008 certified. 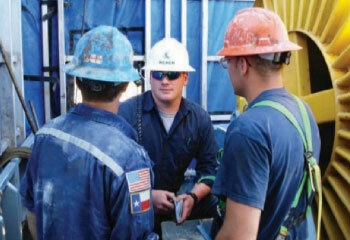 Prior to founding, REACH Mr. Massey worked as a Performance Improvement Coach in the offshore drilling industry. Mr. Massey has roots as a self-starter, beginning with his first company, Aloe Vera de Costa Rica, where he was the Vice President. He expanded farm operations by 300%, improving the plant efficiency by 167% in the first year. Mr. Massey started his career at Continental Pipeline (Conoco) as an Administrative Analyst in Billings, Montana. 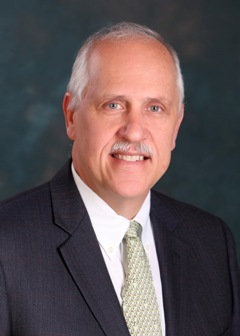 Mr. Massey earned his Bachelors of Business Administrations from the University of Oklahoma, before returning in 1996 to complete his MBA with honors. Currently, Mr. Massey is a member of IADC and NOIA. 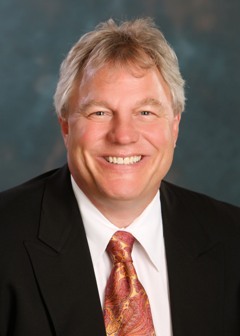 Allan Murgatroyd serves as Senior Vice President - Finance and Administration at REACH and is one of the five Partners. He joined REACH in 2003 as the Controller and was swiftly appointed Senior Vice President. 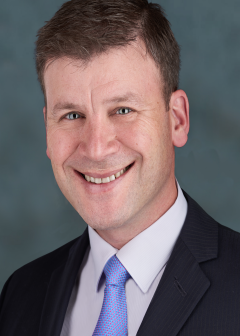 While at REACH Mr. Murgatroyd advanced from preparing financial statements, into a position which he is responsible for; financial and management reporting, accounting and internal controls, risk management, and financial planning and analysis. While excelling at his duties as Senior Vice President, Mr. Murgatroyd also implemented extensive technology solutions into the REACH culture to better safeguard information and resources. His expertise and knowledge of finance has been an integral piece of REACH’s continued success. Before coming to REACH Mr. Murgatroyd worked for ten years at an international valve and fitting distributor., where he was the Chief Financial Officer. Mr. Murgatroyd spent the six years prior, serving as the Group Financial Controller for a real estate development and construction company, where he was the head of accounting and oversaw the preparation of financial reports, such as balance sheets and income statements. Mr. Murgatroyd earned his both his undergraduate and Master’s Degree in Accounting from the University of Miami in Miami, Florida. He is a member of the American Institute of Certified Public Accountants as well as Chartered Global Management Accountants. Paul Hardman joined REACH in 2000 when he was brought on as a Project Coordinator. By 2001 Paul was promoted to Senior Manager and in 2003 he became Partner and Senior Vice President - Eastern Hemisphere. In 2009 Mr. Hardman relocated to Dubai where he assumed the role of Senior Vice President - Europe and MENA. Upon moving to Houston in 2014 he added the Americas under his umbrella. Mr. Hardman’s advancement within REACH is driven by his extensive knowledge of performance and well delivery process initiatives. He has been a leading driver of the expanded services now offered under REACH’s Performance Optimization program. Mr. Hardman has authored multiple papers including a Case Study, “Culture of Performance Drives Iraqi Drilling Campaign,” which was published in the April 2014 edition of Drilling Contractor Magazine. He has spoken to his peers at industry conferences in; Europe, Abu Dhabi, Fort Worth, TX, San Antonio, TX, and Houston, TX. Mr. Hardman served as a Session Chairman at the Middle East Health, Safety, Security and Environment Conference and Exhibition and as a Panel Member at the Credit Suisse Energy Investor Meeting, at the Offshore Technology Conference in Houston, TX. Prior to REACH Mr. Hardman worked at Varco Drilling Systems as a Managing Director. While at Varco he led the manufacture of pipe feed conveyor systems, established their first oilfield maintenance contracts and expanded the service and spare parts division. Mr. Hardman spent the previous 14 years, before Varco, at British Petroleum as a Senior Drilling Engineer and Drilling Supervisor. He engineered the first horizontal well drilled by BP globally, and held the title of Rig Manager on the fastest drilling semi-submersible in the North Sea. Mr. Hardman earned his BSc in Mining Engineering from the University of Newcastle Upon Tyne and completed his Graduate Studies as a Research Associate into the deformation of coal mine roadways. He is currently a member of SPE and AADE. Marc Vaillancourt joined REACH in 2001 shortly after its’ inception in 2000. He is one of the five partners and is the Senior Vice President – Asia Pacific. From his start, until 2005 Mr. Vaillancourt was Senior Manager for REACH and used his knowledge of Continuous Improvement implementations and Technical Limits facilitations to be a key factor in the company’s growth and success of the Performance Optimization program in the Gulf of Mexico. 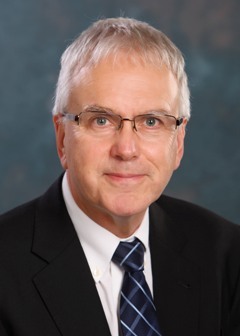 Mr. Vaillancourt returned to the Asia Pacific region in 2005, was promoted to Vice President in 2011, and then to Partner and Senior Vice President in 2012. Using his 21 years of experience, he has successfully grown the Asia Pacific region to be one of REACH’s most profitable markets. Mr. Vaillancourt has had the honor to speak globally to his peers about REACH and Performance Optimization is Malaysia, United Arab Emirates and Myanmar. Before starting at REACH Marc worked for RLG International as a Project Manager. While with RLG Marc worked in Canada, the United Kingdom, Australia and New Zealand implementing Continuous Improvement initiatives in Oil & Gas, forestry, transportation and logistics. Mr. Vaillancourt earned his Bachelor of Commerce degree in International Business and Entrepreneurship from McGill University in Montreal, Canada. He then went on to receive his MBA in Strategic Management from the University of British Columbia in Vancouver Canada. Jennifer S. Medcalf started with REACH in 2014 as the Vice President – Business Development. 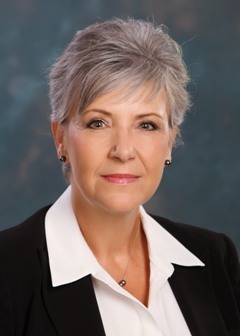 Ms. Medcalf brought more than 30 years of experience in business development, sales management, marketing and product development in the energy and telecommunications industries specializing in start-up and troubled sales and marketing organizations. Ms. Medcalf is heavily involved in the company’s strategic planning and growth, relaying REACH’s brand to the marketplace, obtaining new customers globally and ensuring the current customers enjoy the best value and service in the industry. Before taking the Vice President – Business Development position, Ms. Medcalf was the Vice President of Marketing and Sales at TETRA Technologies for the Offshore Services Division. She has worked for both small and large companies in her career, including: Cingular (now AT&T) Columbia Gas, Enron, Commonwealth of Pennsylvania and several start-ups.Ms. Medcalf’s career includes leadership positions in sales, business development and marketing. 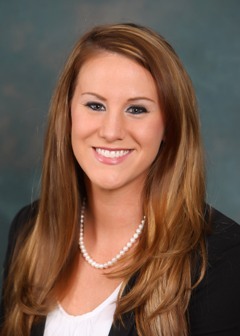 Ms.Medcalf has both an MBA and a Bachelor’s of Science degree in International Business from the University of Bridgeport in Connecticut. She has minors in Economics and Business Finance. Ms. Medcalf currently serves on the Board of Directors for the National Ocean Industries Association and she is a member of several professional organizations, including the International Association of Drilling Contractors, Society of Petroleum Engineers, Women’s Energy Network, Junior League and the Daughters of the American Revolution. She has been recognized by numerous organizations and businesses for her management and leadership skills. Kayla Martin started with REACH in 2007, as her first job following her graduation from Baylor University, where she earned her Bachelor’s Degree in both Human Resource Management and Marketing. Ms. Martin started with REACH as an HR Coordinator and was promoted to HR Manager in 2011. In 2012 Ms. Martin became the first female and the youngest member of the REACH Senior Group, followed by another career advancement in 2013 when she became the first female and youngest member, of the REACH Executive Team. From 2007-2015 she led REACH to double their number of employees. Much due to Ms. Martin, REACH also boasts five consecutive wins of “Best Company to Work for in Texas,” reaching as high as the number four spot in 2013. Ms. Martin is responsible for keeping REACH in compliance of a Quality Management System, and keeps the ISO 9001.2008 accreditation current. Ms. Martin is a member of the Professional in Human Resources (PHR) group which is the world’s highest standard for HR professionals. Their HRCI certification demonstrates relevance, competence, experience, credibility and dedication to Human Resources. She also earned her Society of Human Resource Management- Certified Professional (SHRM-CP) credentials. By attaining the SHRM-CP credential Ms. Martin is recognized and an expert and leader in the HR field, this accreditation makes her an asset to REACH, and keeps REACH more competitive in today’s economy. Earning this distinction sets Ms. Martin apart from her colleagues, proving her high level of knowledge and skills.